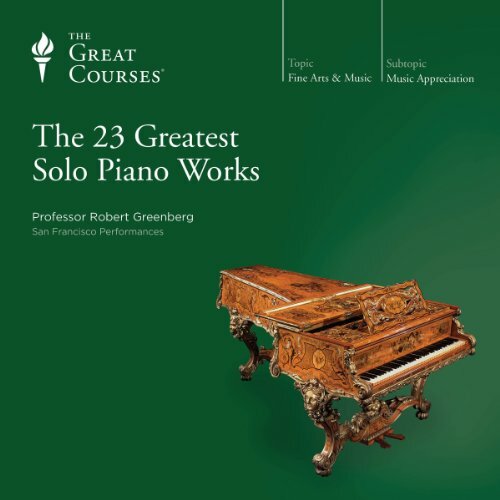 Voir les résultats lus par "Robert Greenberg"
The piano is the most popular solo concert instrument in Western music. One of the key reasons is the fact that it has inspired many of the greatest masterpieces in the concert repertoire. 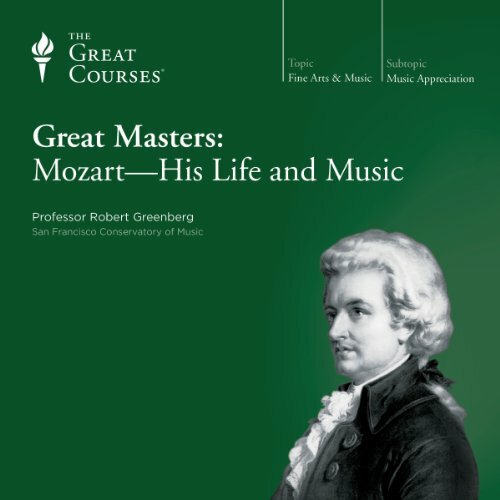 To study these masterworks and to understand their genius and lasting appeal is to know one of the greatest accomplishments of Western culture, works that give great pleasure even as they deepen your insight into the meaning of music. 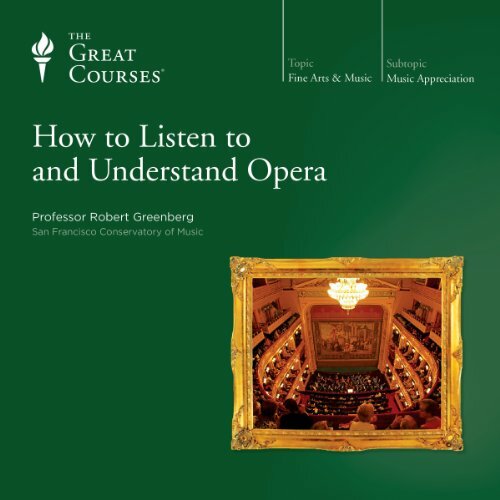 To watch any opera lover listen to a favorite work, eyes clenched tight in concentration and passion, often betraying a tear, is to be almost envious. What must it be like, you might think, to love a piece of music so much?And now one of music's most gifted teachers is offering you the opportunity to answer that very question, in a spellbinding series of 32 lectures that will introduce you to the transcendentally beautiful performing art that has enthralled audiences for more than 400 years. Great music is a language unto its own, a means of communication of unmatched beauty and genius. And it has an undeniable power to move us in ways that enrich our lives-provided it is understood.If you have ever longed to appreciate great concert music, to learn its glorious language and share in its sublime pleasures, the way is now open to you, through this series of 48 wonderful lectures designed to make music accessible to everyone who yearns to know it, regardless of prior training or knowledge. When Wolfgang Amadeus Mozart died in 1791 at the age of just 35, he nonetheless left behind the defining composition in every available musical genre of his time: symphony, chamber music, masses, and above all - opera. Opera was the prestige genre of the era, and the thought of it, Mozart wrote, made him, "beside myself at once." It was a form he loved dearly, depending on it heavily for personal, professional, artistic, and financial reasons of the greatest weight. 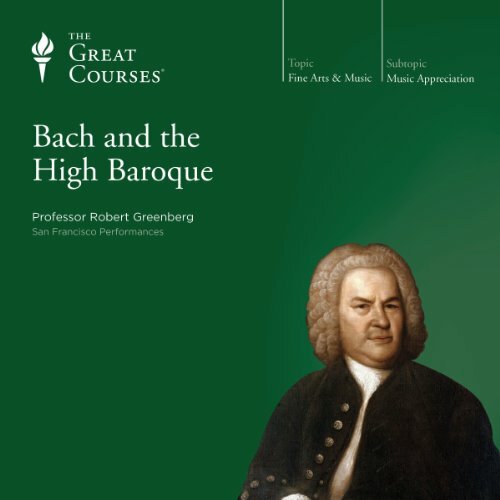 Though unappreciated in his own time, Johann Sebastian Bach has ascended to Olympian heights, the verdict of contemporary audiences long since overruled by succeeding generations of music lovers. But what makes his music great? 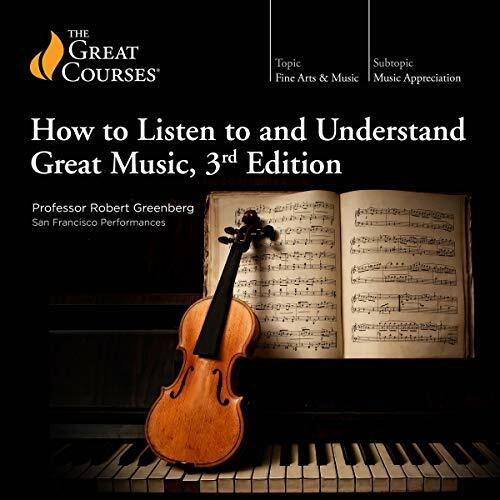 In this series of 32 lectures, a working composer and musicologist brings his exceptional teaching skills to the task of helping you hear the extraordinary sweep of Bach's music. You'll understand the compositional language that enabled him to compose such extravagant, unbridled music while still maintaining precise control of every aspect - beat, melody, melodic repetition, interaction, and harmony. Johannes Brahms was a man of contrasts. His serious Teutonic music was balanced by joyful dance music. His kindness to working people with a biting, malicious wit reserved for those he encountered in artistic and aristocratic circles. 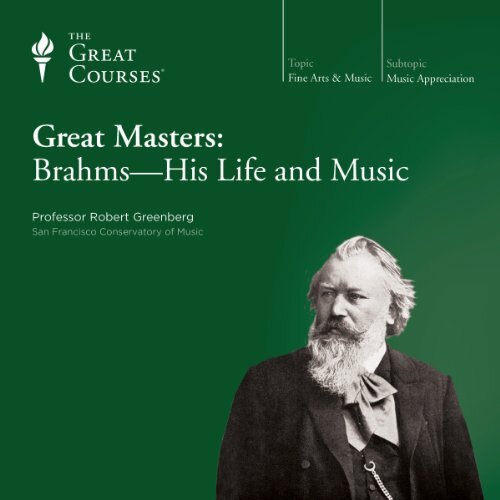 Yet you can know this enigmatic genius though this 8-lecture series, which uses biographical information and musical commentary to link the complexities of Brahms the man with the electrifying music of Brahms the composer. Have you ever wondered how the lives of great composers-especially when set against the social, political, and cultural context of their world-influences their music?After listening to this perceptive series of eight lectures on the life and music of Ludwig van Beethoven, you will likely find that you hear his work in an entirely different way, your insight informed by new knowledge of how Beethoven was able to create masterpieces from the crises of his life.You'll learn about the years of progressive hearing loss-ultimately to produce total deafness-and the understandable agony and rage such a fate would bring upon a composer. About his deep depression over the end of his relationship with the woman he calls his Immortal Beloved. 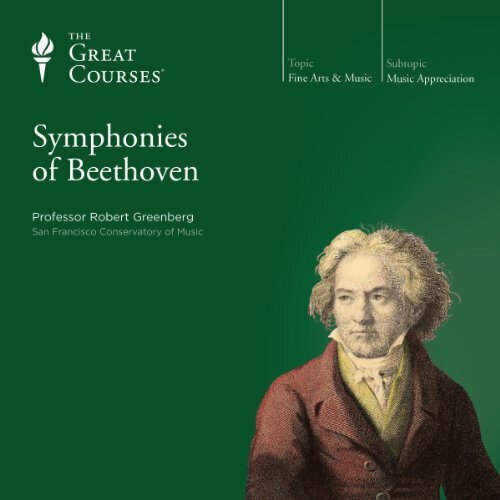 About his pathological hatred of authority, his persecution complex, even delusional behaviors.But you'll also learn how each of these crises, and many others, served to drive Beethoven inward, to reinvent himself and redeem his suffering through art, creating disruptive works of profound passion and beauty that reinvented the nature of musical expression in the Western world. Nowhere is Mozart's maturity and mastery more apparent than in the chamber music he wrote during the last 10 years of his life. 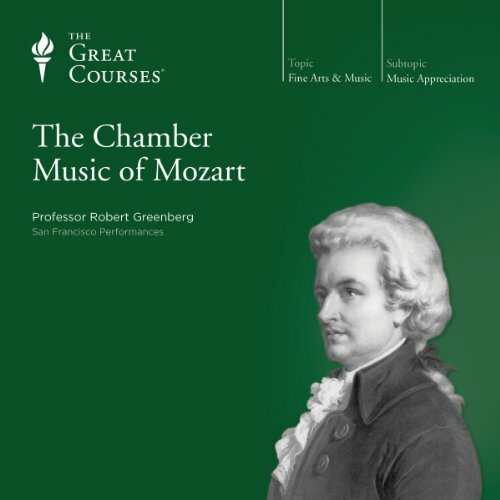 These 16 lectures take you deep inside the structure of Mozart's chamber masterworks to reveal his hand at work. 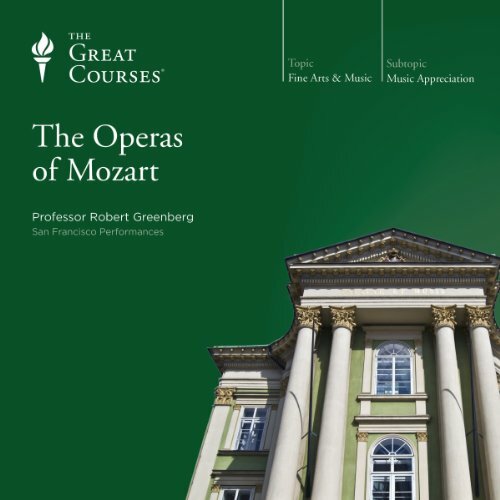 This is an amazing opportunity to hear, study, and enjoy a selection of immortal musical compositions that Professor Greenberg calls "a blessing of inconceivable richness". You will learn the basic "language" that all 18th-century composers used to write Classical music. You'll also explore the subtleties of Mozart's technique as a composer: his ability to make art "artless". 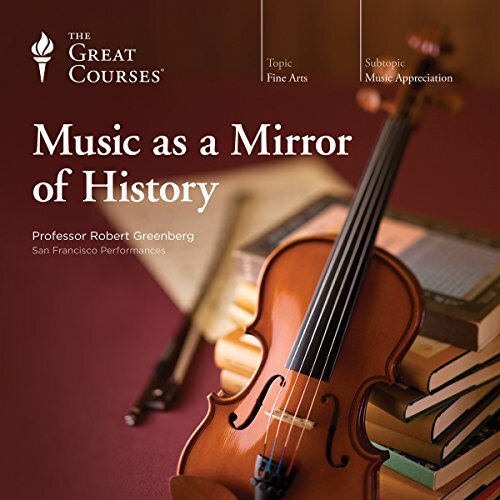 In Music as a Mirror of History, Great Courses favorite Professor Greenberg of San Francisco Performances returns with a fascinating and provocative premise: Despite the abstractness and the universality of music - and our habit of listening to it divorced from any historical context - music is a mirror of the historical setting in which it was created. Music carries a rich spectrum of social, cultural, historical, and philosophical information, all grounded in the life and experience of the composer. The 20th century was a hotbed of musical exploration, innovation, and transformation unlike any other epoch in history. 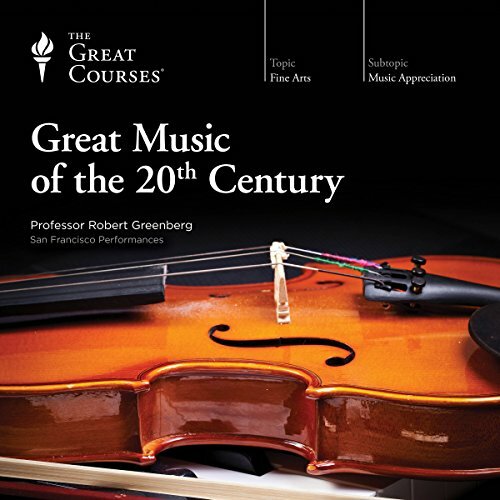 Ranging across the century in its entirety, these 24 lectures present a musical cornucopia of astounding dimensions - a major presentation and exploration of the incredible brilliance and diversity of musical art across a turbulent century. Far more than simply a series of lectures, the program comprises a huge and many-sided resource for discovering the endless riches of 20th-century concert music across the globe. Although we often think of an artist's work as a window into their own inner world, that is not always the case.In the life of Peter Ilyich Tchaikovsky, however, we can see perhaps the closest link to be found anywhere between a creative product and the shifting moods of a turbulent soul, which found its outlet through the glorious music created by the great Russian composer.To know his music, you must know the man, and this fast-moving series of eight lectures from an award-winning composer and accomplished teacher offers an insightful look into both the circumstances of Tchaikovsky's life and the impact that life had on his music. More than anyone before him-more than Beethoven, Byron, even the preternatural Paganini-it was Franz Liszt who created one of the most enduring archetypes of the Romantic era: that of the artist "who walks with God and brings down fire from heaven in order to kindle the hearts of humankind." An innovative composer both for his own instrument and on an orchestral scale, Liszt was without a doubt the greatest pianist of his time and perhaps the greatest of all time, stunning even the most jaded critics and listeners everywhere he went with his sheer virtuosity and almost unbelievable musical gifts-even while playing whatever instrument was available in whatever hall he could find during his arduous travels by mail coach throughout Europe. Yet even though his fame and achievement make him one of the most written about composers of the 19th century, musically he remains the least understood. And as for his life, perhaps a good place to begin is with Felix Mendelssohn's observation that Liszt's character was "a continual alternation between scandal and apotheosis." 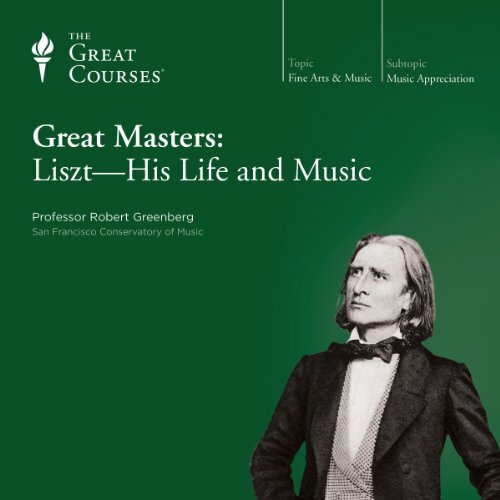 Still-for every lover of music, Liszt remains someone you must understand, and this 8-lecture series is an ideal place to begin your acquaintance with both the man and his music. A revolutionary man living in a revolutionary time, Beethoven used the piano as his personal musical laboratory. 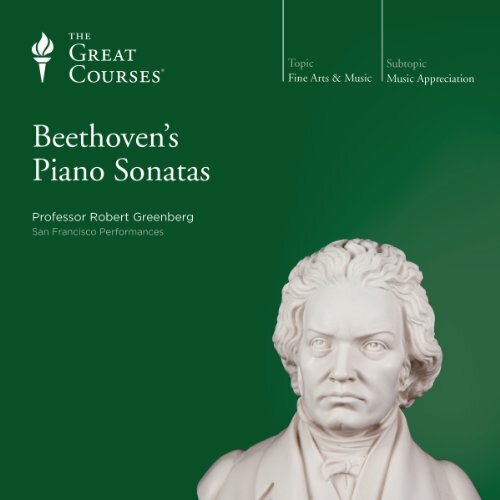 The piano sonata became, more than any other genre of music, a place where he could experiment with harmony, motivic development, the contextual use of form, and, most important, his developing view of music as a self-expressive art.Beethoven's 32 piano sonatas include some of his most popular works as well as some of his most experimental. In these 24 lectures filled with musical excerpts, enjoy a rich and multifaceted exploration of the trailblazing works and outsized life of this historically pivotal composer. 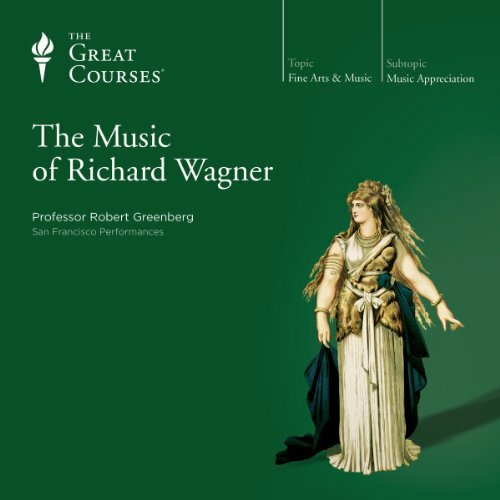 The sheer outlandishness of Wagner's life makes for an endlessly intriguing story, from his desperate escapades outrunning creditors to his obsessive personal relationships to his utopian artistic schemes. Even from the perspective of time, it is nearly impossible to grasp the full contribution made to music by Wolfgang Amadeus Mozart in his brief and glorious life. He composed his first symphony at the age of 8 and reached full artistic maturity by the time he was only 20. And when he died at the age of 35, he left a legacy of more than 600 works of brilliance - symphonies, chamber music, operas, and more - most composed during an incredibly productive 20-year period. More than many other composers, Gustav Mahler's works are highly personal expressions of his inner world, a world of overwhelming alienation and loneliness. 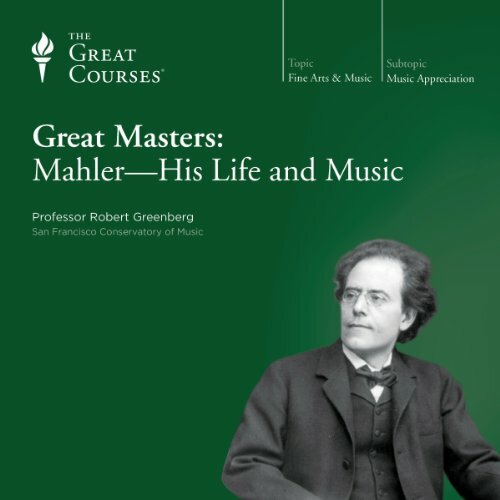 You'll learn, through both lectures and musical excerpts, how his symphonies are vast repositories of his intellectual, emotional, and spiritual expression that made him the first exponent of Expressionism, the early 20th-century art movement that celebrates inner reality as the only reality - but explored by Mahler using the musical language of the century just ended. Ludwig van Beethoven is justifiably acclaimed as one of the most revered composers in the history of Western music-a genius once characterized as a "Titan, wrestling with the gods." 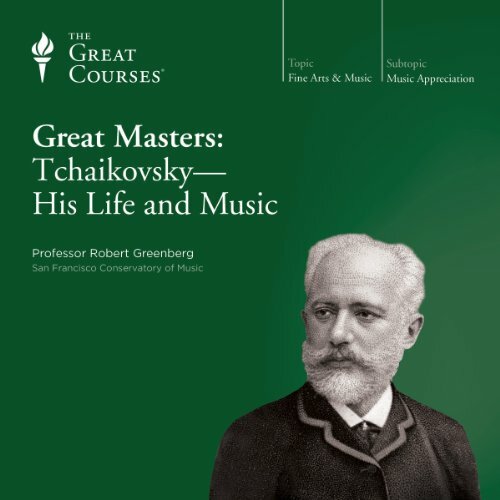 There is no better way for you to understand the full impact of that description than to not only listen to all nine of his magnificent symphonies, but to do so with a full understanding of what this great composer was saying and the circumstances that drove him up to and beyond what had once been considered the limits of musical expression. The Italians have a word for the sense of dazzling beauty produced by effortless mastery: sprezzatura. And perhaps no cultural form associated with Italy is as steeped in the love of sprezzatura as opera, a genre the Italians invented. 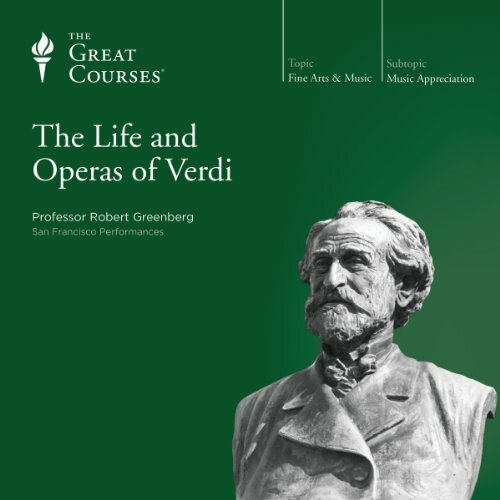 No composer has embodied the ideal of sprezzatura as magnificently as Giuseppe Verdi, the gruff, self-described "farmer" from the Po Valley who gave us 28 operas and remains to this day the most popular composer in the genre's 400-year-old history. 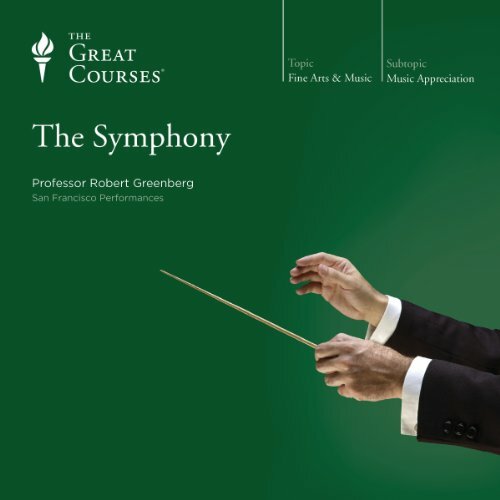 From its humble beginnings in the 17th-century Along the way, it has embraced nearly every trend to be found in Western concert music.In this series of twenty-four 45-minute lectures, Professor Greenberg guides you on a survey of the symphony. 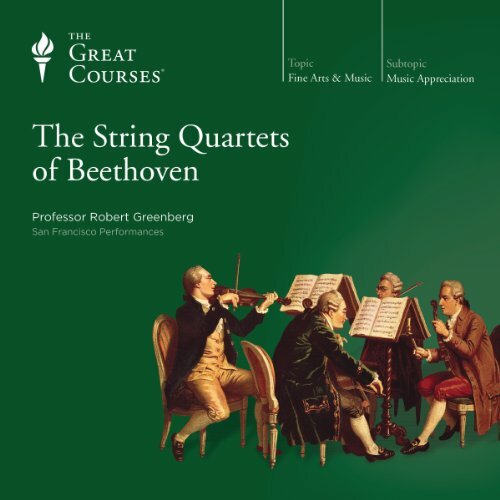 In this musically rich 24-lecture series, Professor Greenberg guides you in a deep encounter with these majestic works of art, offering you the rare opportunity to grasp the musical riches and spiritual greatness of the quartets in a clear and accessible way. 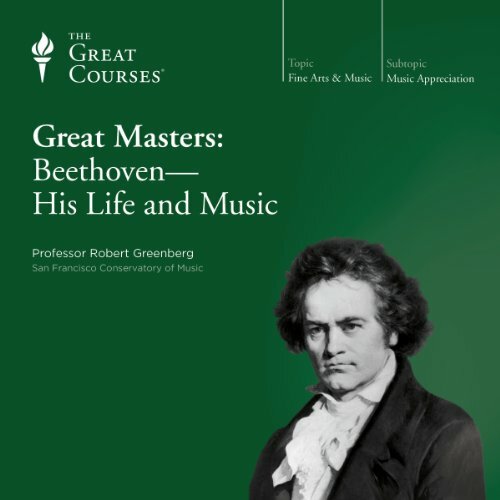 Each of these lectures is a rare and life-enriching opportunity to know the scope of Beethoven's genius, his most unforgettable music, and the profound humanity and beauty that live through them.